We know that the wise men brought precious gifts to Jesus to honor Him as King. At Christmas we give gifts to honor those we love. Why not make a beautiful star ornament and take it to someone who doesn’t know Jesus? 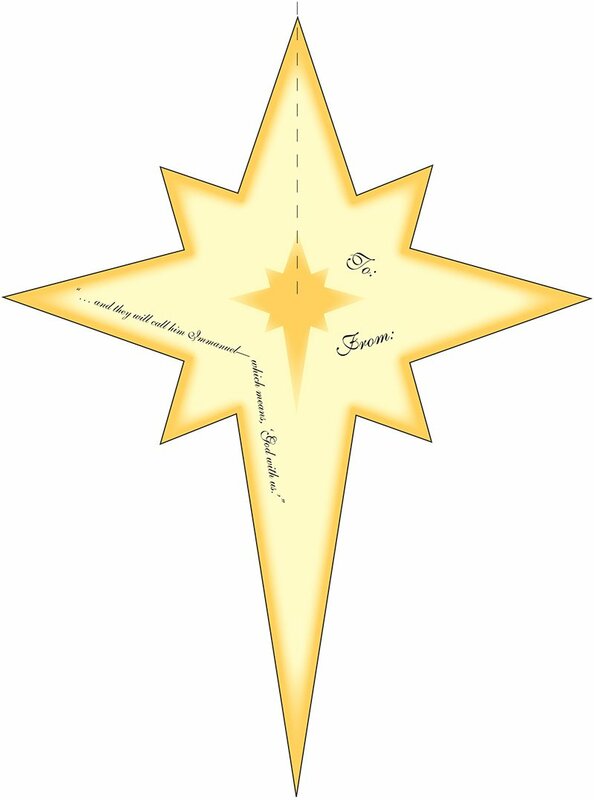 You can tell them that the star is to remind them of Jesus, who is the greatest gift of all—the light of the world! Add coffee (if you are using) to water and mix. Add flour and salt, and mix. Knead for 5 minutes until dough reaches a smooth, clay-like texture. Dust a rolling pin with flour. Roll dough on a smooth surface with rolling pin. Cut dough according to the star template or use a star cookie cutter. Using a drinking straw, make a hole at the top of the star so the ornament can be hung. Bake your ornament at 300 degrees (149°C) for 2 hours or 350 degrees (177°C) for 1 hour 15 minutes. Bake until dry and hard. Decorate, attach ribbon, wire, string for hanging … and give it to someone special. Let your light shine! Merry Christmas! Special tip: For best results, use tempura, model, acrylic, or fabric paints to decorate. Glitter glue will add pizzazz!